Cool weather and a fast course combined for one of the best weekends of cross country ever in North Carolina. Will Templeton (Hardin Valley TN) upstaged everyone in the Invitational Race with the best boys' time of the day. HILTON HEAD ISLAND – Jack Manesiotis says he’s had a "pretty good" cross country season, so far. He’s trimmed a few seconds off his personal record in the 5K, but the Hilton Head High junior knows he can do better. 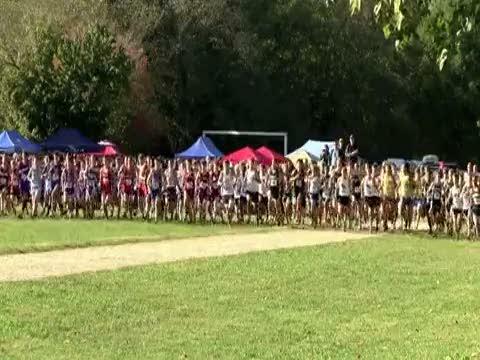 The "Granddaddy" of all North Carolina cross country events: the oldest meet, on the most important course. GREENVILLE – Laura Miller has come a long way in her short career as a high school cross-country runner. Hilton Head junior Jack Manesiotis and Mann junior Laura Miller were recently named scrunners.com Runners of the Week, presented by Go-Green Timing and On On Tri. Mann junior distance runner Laura Miller talks about why she enjoys summer training and goals for the season. CHARLOTTE -- Mann junior Laura Miller ran a personal best time of 17 minutes, 56 seconds to finish fourth in the invitational girls race. CHARLOTTE -- Hilton Head junior Jack Manesiotis led the Seahawks to the boys open team title at Wendy's Invitational, held at McAlpine Park. Who will step up and make a statement about the quality of their team this year?